The one thing missing from Chris Mullin's rookie season before Wednesday night was a Big East conference victory, one his St. John's team has failed to get throughout their 16-game losing streak. Perhaps all they needed was an opponent whose struggles were equivalent to theirs. A game advertised as a potential battle between the two teams who sit at the bottom of the Big East standings eventually favored the Red Storm. And despite their early second half struggles, the Johnnies were able to hang on long enough to stave off the Blue Demons (8-16, 2-11) in Queens. The game's pace was on display early, the physicality was evident and each team underwent scoring droughts. 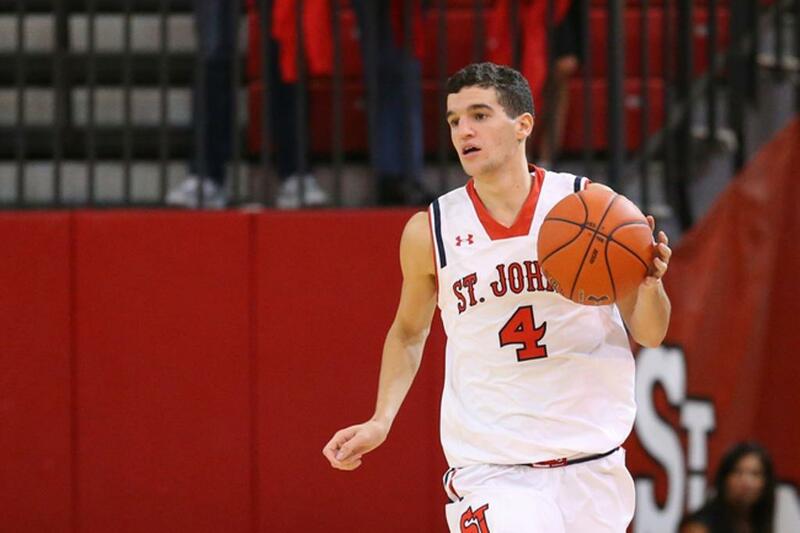 In the end, it was St. John's snapping their 16-game losing streak and winning their first conference game of the season behind 18 points from Durand Johnson and 17 from Federico Mussini. Down 32-31 and victims of an 8-0 run, Mullin and St John's (8-19, 1-13) turned to the bench two minutes into the second half. The bench, led by Mussini's 17 second-half points, went on a 16-3 run over the course of the next six minutes. A three from Johnson and a layup from Malik Ellison minutes later gave St. John's a 20-point lead, 64-44, with six minutes left in regulation. Another 8-0 run by the Blue Demons- who were led by Eli Cain's 25 points-cut the lead to twelve, and eventually eight with 1 minute and 30 seconds left. But ten combined points in free throws between Johnson and Mussini over an elongated minute worth of game time put St. John's up for good, giving the capacity crowd at Carnesecca Arena reason to celebrate on Bill Wennington Bobblehead Night prior to Saturday's game at Madison Square Garden against Seton Hall. NOTES: Fans at Carnesecca Arena were given Bill Wennington bobbleheads. The former St. John's center is one of only nine players in school history to score at least 1,000 points, grab 500 rebounds, and record 100 blocks. Wennington went on to play 15 seasons in the NBA, winning three consecutive championships with the Chicago Bulls between 1996 and 1998. St. John's will host Seton Hall (18-7, 8-5) on Saturday, February 20 at noon at Madison Square Garden. DePaul will host Marquette (16-10, 5-8) on Saturday, February 20 at 2 PM in Rosemont, Illinois. Derrell Bouknight is a sports writer for HardwoodInsiders.com. You can follow him on Twitter @BouknightReport.